Andrew McKenna is one of Chicago’s premier businessmen and a member of the Irish America Hall of Fame. 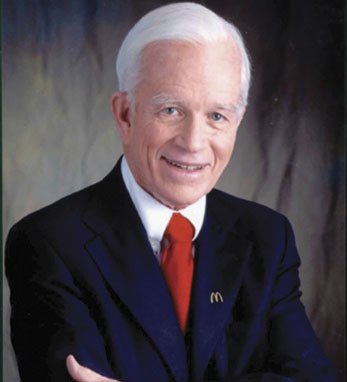 Currently, he serves as chairman emeritus of McDonald’s Corporation and chairman of Schwarz Supply Source, a position he has held since 1964. He is also a director of Ryan Specialty Group, McDonald’s Corporation, and the Chicago Bears Football Club.